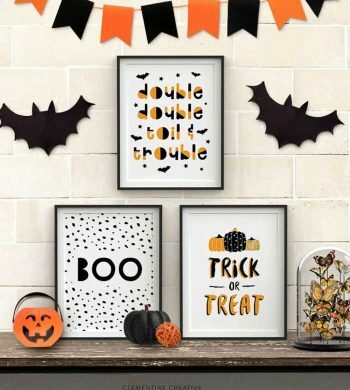 Here is a Halloween craft idea! 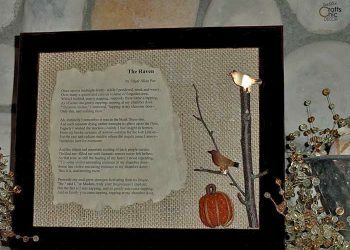 The Raven, by Edgar Allen Poe, is the backdrop to this shabby style craft featuring burlap, an aged poem, and some ravens. 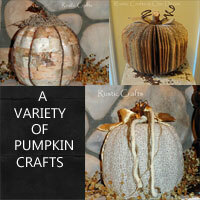 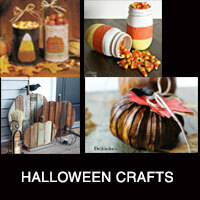 Check out this variety of rustic Halloween crafts made from scrap wood, mason jars, tin cans and dollar store pumpkins. 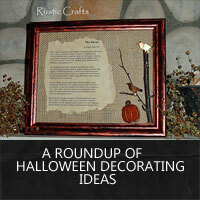 More Halloween decoration ideas to get your home festive and ready for the upcoming holiday. 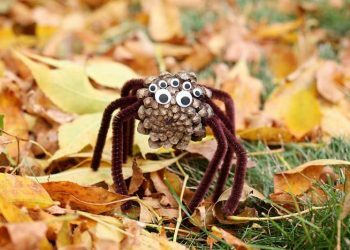 Get prepared for Halloween with these decorative and creative Halloween crafts that are easy to complete. 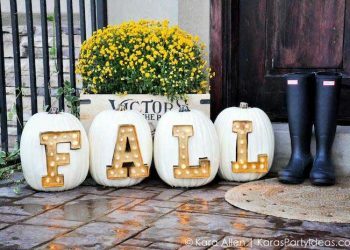 Get ready for Fall with this collection of fun pumpkin crafts. 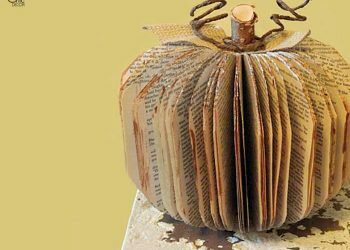 Use such things as books, sweaters, bark, linen, driftwood, twine, leaves, and upholstery nails! 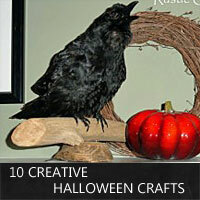 Get in the spirit of Halloween with these ten easy craft ideas you can create in no time.